All matching numbers chassis, engine, gearbox and paint colour: 1515 -G Irish Green , this 1970 Porsche 911T Karmann Coupe, 2.2 litre is Irish Green with Brown leatherette interior. Under going full restoration, due to complete April 2018 Optional equipment: US Equipment, Comfort Equipment, Tinted Windshield. Extensive work was done on the engine by the previous owner in the mid-eighties (receipts available). Recent work includes body work, paint job, new floors, interior (door pockets are original), upholstery, brakes and light engine work (cleaning and tune up). Fitted with 15 inch Fuchs wheels and new tires. Runs and drives very well. The car is equipped with the original jack, owner's manual and spare tyre, as well as receipt history and the original certificate of authenticity Offered here is a very original example of the sought after 911 T which was first registered in 1970. The bodywork is described as: "very bright with no rust, straight shut lines and nice body panels. The engine is very sweet and it drives beautifully." Introduced at the 1963 Frankfurt Motor Show, the basic Porsche 911 design would run virtually unchanged for twenty nine years. 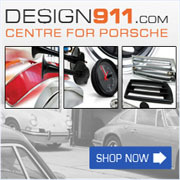 Ferdinand Porsche had been working on the design since the late fifties as a better performing replacement for the 356. Today, his design still underpins the production of Porsche AG of Stuttgart. Before long, the merits of using the Porsche 911 in competitive motorsport became apparent and history records it as one of the most successful campaigners of all time. From the 24 Hours of Le Mans, to grass-root motorsport, the 911 offered reliable performance in many guises. 1970 the C-Series 911 was introduced with a larger bore to give a capacity of 2165cc, producing 125bhp and now badged as a "T". Alterations to suspension points improved the handling and gave the steering a better on centre feel.